weincasting! » Dr. (Niles) Frasier Crane Quotes XV. Daphne: What about someone from your wine club? 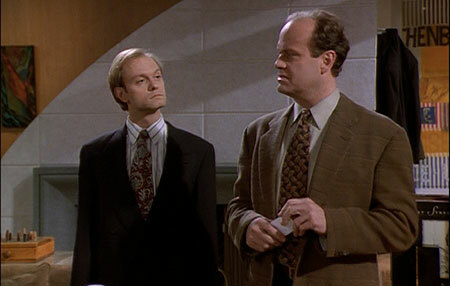 Frasier: Oh well truth be told Daphne, those people are insufferable bores unless they have a glass in their hands. Sherry, Niles?